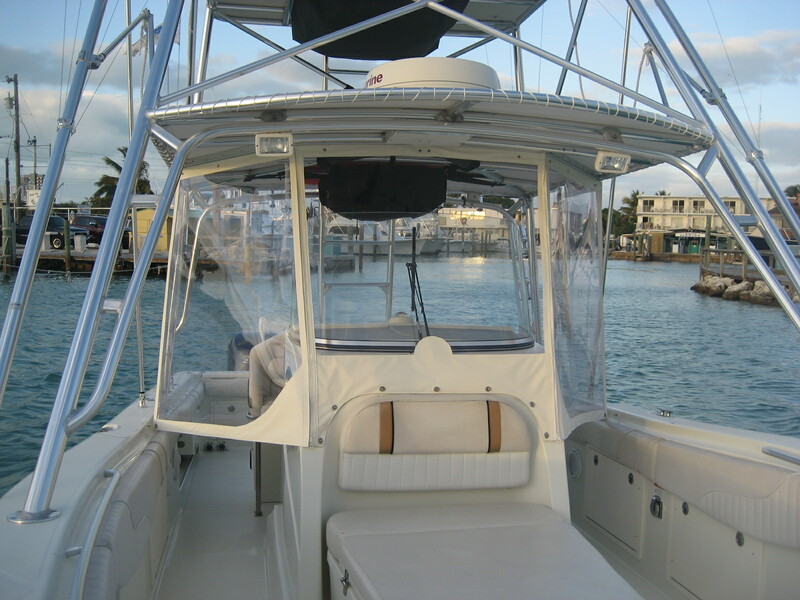 The 33 ft. spacious Hydrasport “The Reel Sharp” is powered with triple 250 four stoke Yamaha engines, which provides a quiet cruising speed of 45 mph and gets to your deep sea fishing spots fast. 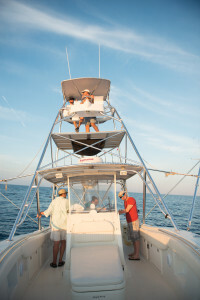 There is a custom tower that holds up to three passengers and is a great viewing platform to spot fish. In addition to fishing charters, “The Reel Sharp” is tournament equipped, and has a Raymarine chart plotter, color depth finder and radar. On board there is a large capacity livewell, 2 COM VHF marine radios, a Clarion (STRO/CD Player) with an awesome sound system and a port-a-potty for the ladies. The boat accommodates up to six people in your fishing charter group. 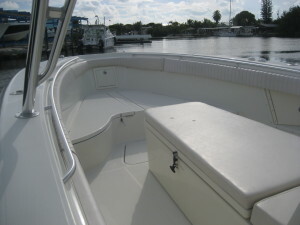 Reel Sharp has a large center console with a large bow area on the boat to fish from. This is a huge advantage while deep sea fishing when the captain has spotted a Sailfish, school of Mahi or some Cobias on a ray that requires the angler to cast live bait to them. All fishing tackle is provided. 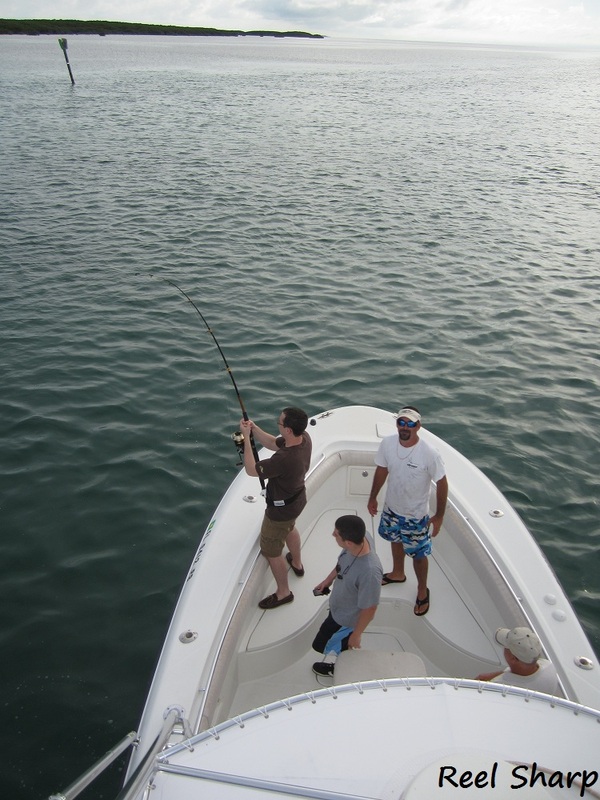 We use Diawa and Shimano spinning reels and Penn International trolling reels. 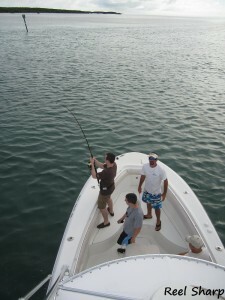 In addition we are equipped for kite fishing and have electric reels for deep dropping. Image of full enclosure aboard “The Reel Sharp”. 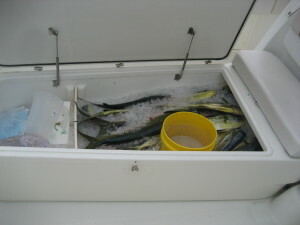 Our boat also has a large custom 4 foot cutting board work station for bottom fishing and using cut or chunk baits. Awesome underwater lights for night fishing and large 5 foot built-in cooler for your fish. For your comfort the center console area under the tower has a full enclosure that can be pulled down to keep passengers dry or out of the wind if the weather turns. 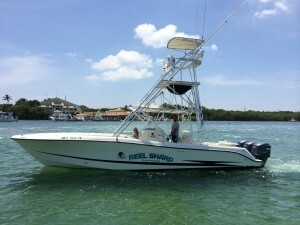 Reel Sharp Sportfishing is located in Islamorada Florida and provides deep sea fishing charters in the immediate area and the Gulf area.